Who would have thought that the traditionalists of the game would play anything other than leather grips? Yet, today, shapes, sizes and materials are so far advanced. In 2014, five grips have captured both the imagination and market share of grips – none as much as the SuperStroke series. Every time you turn on the TV, the black and white SuperStroke is on the majority of players’ putters. Ever since K.J. Choi placed a large black oversized grip on his putter, the trend began. From the original oversized grip that needed to be screwed in to the shaft, the current grips now fit as all conventional grips do. Jason Dufner and Jordan Spieth are the global ambassadors for SuperStroke. Dufner currently plays the 17-inch Slim 3.0 grip and Spieth plays the Flatso Ultra. This grip is special because it was both designed and engineered with a touch of genius. SuperStroke claims that its patented parallel technology design helps in promoting even pressure on both hands, while eliminating tension in the wrists and forearms and, thereby, increasing shoulder rotation. 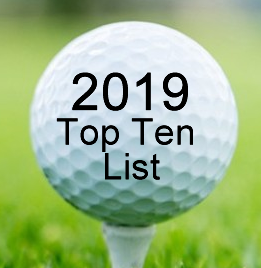 The grip features a sleek looking, flat-top, pentagonal design with bold lettering that can be seen immediately on the putting greens, TV and most importantly, in retail stores. This shape is ideal for those players who are looking for a pistol grip design. It is competitively priced at around $19.99. 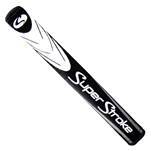 Many of the SuperStroke grips vary in price starting from $15.99 to $29.99. 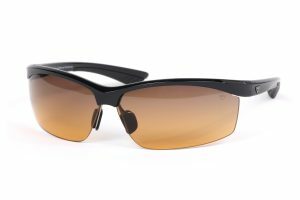 The SuperStroke features a high tech Polyurethane material, which feels smooth, but tacky as well. Even in wet environments, the grip does not become slippery. The Flatso Ultra weighs in at 85 grams, is 10.5″ long and has a diameter of 1.10?. 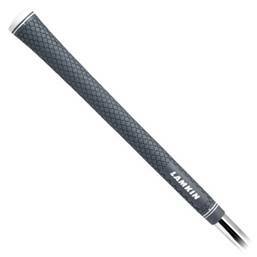 The favorite of our testing group and in fact, the most popular grip in the SuperStroke line, is the Slim 3.0. Featuring a patented non-tapered design (slight pistol profile), this grip distributes the pressure evenly in both hands, avoiding over-gripping (especially in the lower hand). It weighs 60g, with an outside diameter of 1.3” and is 10.5″ long. The unique non-tapered putter grip design also allows your arms to easily lengthen your back and swing straight with your upper body instead of your arms. You’ll experience a smoother, more controlled pendulum-style putting stroke. The new Midnight Series grips featuring darker colors. This year Golf Pride, the manufacturer of the most popular grips on Tour, introduced these new rubber, vibration dampening grips, featuring their exclusive Control Core™ technology with a 2.5” inner core stabilizer that is specifically engineered to reduce torque. The grips feature a soft and tacky feel, which really delivers comfort and control. On the left is the CP2 Wrap. A reduced taper design allows for even grip pressure in each hand, and a soft, high-traction surface provides comfort in every swing. The 60 round CP2 is 31% softer than any other Golf pride grip presently offered. With the CP2, control fits in the palm of your hand. On the left is the CP2 Pro Grip. There are three different sizes; standard 50 grams, Midsize 63.5 grams and Jumbo 80 grams. This grip is the first putter grip with a revolutionary, patented, two-sided design. It feels very different from the standard oversize putter grip and takes a little time getting used to before you see results. It has a 2″grip diameter, weighs in at 60g, has a semi-tapered pistol grip and is made from High-Tech PU material. It feels a little firmer than the SuperStroke Slim 3.0 and has a semi-tacky feel. http://www.GarsenGolf.com for $22.95 + Shipping included. The 52 gram, synthetic Crossline ACE 3GEN Standard grip is the most popular grip series in the Lamkin line-up and will imminently find a way on to your clubs. Firstly, the new Lamkin logo adds class to the grip, but more importantly, the branding via new logo, is definitely a step up from the Lamkin script logo! Now you can see the logo on TV. The feel of this grip is incredible. For the first time in a long time, the fingers on the grip do not move around! 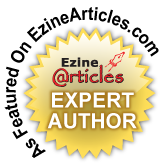 This “stickiness” was improved by the use of their Advanced Cohesive Elastomer (ACE) process. This makes the grips super sticky and still retains the benefits of vibration cushioning. The sticky surface allows for lesser grip pressure with no loss of control. This grip was designed with a minimal surface texture which enhances comfort and allows maximum surface contact with your hands for optimal control and stability. Because of the high tackiness of the ACE 3GEN, you will naturally experience a lighter, more tension-free grip, allowing for smoother, faster swings. The advanced 3GEN material helps to reduce impact vibrations, as well as increase durability of the grip regardless of rain or wet-weather conditions. Players love the easy care of this grip too! Simply brush the grip with a wet towel after each round to remove dirt and re-activate the original tackiness. With every grip belongs a shaft. To this end, we have been testing shafts from various manufacturers at our test facility and have chosen the two most popular shafts chosen by our testing group. These shafts are found on the Tours and in the bags, or should be, in the mid-high handicapper’s clubs, as these will produce distance, feel, correct launch angle and low dispersion rates for swing speeds of around 80 -87. Many of the top golfers such as Adam Scott, Tiger Woods, Lydia Ko, Russel Henley, Seung-yul Noh, Anna Nordqvist and Inbee Park have derived the benefits of winning by using these highly visible striped orange and yellow Graphite Designed shafts. 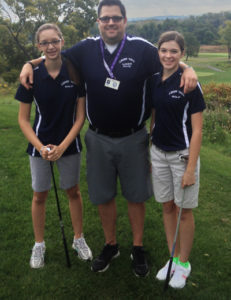 They perform to not only the highest levels, but for all levels of golfers. Martin Kaymer, the winner of the 2014 Players and US Open Championships, played three Graphite Design Tour AD DI shafts to capture his third PGA Tour win. 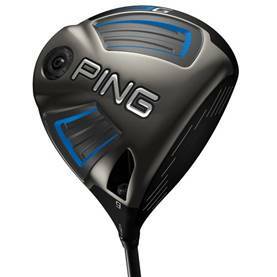 The champion played a Tour AD DI6-X Flex in his TaylorMade SLDR 460 Driver, a Tour AD DI7-X Flex in his TaylorMade SLDR 3 Wood and a Tour AD DI Hybrid 85-X in his TaylorMade SLDR Hybrid. Our testing group has always been enamored and praiseworthy of GD’s AD (Accuracy & Distance) shafts. 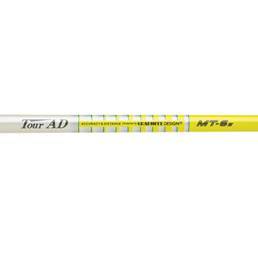 The Tour AD MT design is based on the very popular Tour AD DI model and utilizes the same Toray Company’s Nanomaterial or “DI Technology” in the tip section of the shaft. The Tour AD MT features a stiffer mid-section and slightly softer tip than the Tour AD DI. This design feature will produce optimal launch and spin characteristics in today’s low spin drivers. The new Tour AD MT provides a player with maximum energy transfer resulting in superior accuracy and distance. The new Tour AD MT wood shaft is available in 50g R2, R1 and S flex, 60g SR, S and X flex, 70g S and X flex and 80g S and X flex. They are marketed as having a mid kick point and mid trajectory with low/mid ball spin. Weights of the shafts run from 54.5 grams for the MT R2(Senior) to the MT 8 X 84.5 grams for extra stiff. As with the NV shafts, the new models use Aldila’s Micro Laminate Technology (MLT), which means that extremely thin, strong layers of graphite were stacked on top of each other to create the shafts, resulting in an extremely smooth feel, and the most consistency of any shafts previously manufactured. These shafts are the offspring of the hugely popular NVs series, and offspring today are more technically gifted than in the past decade. The constant taper shaft profile provides exceptional feel and a smooth, controlled release with both shafts. The Tour Green and Tour Blue shafts are designed with a balance point that is slightly closer to the handle than the original NV shaft, which helps balance out the weight of today’s heavier driver heads and gives golfers the opportunity to play the longer-length shafts (between 45 and 46 inches) that have become common in the golf industry without increasing swing weight to intolerable levels. Helping you choose the correct shaft for your game is relatively easy – the Tour Green is for the player who wants to hit it lower, while the Tour Blue is for the player that wants to hit it higher. Both shafts carry an MSRP of $249.00, which is rather expensive but worth the price. This entry was posted on Monday, June 16th, 2014 at 6:24 pm and is filed under Uncategorized. You can follow any responses to this entry through the RSS 2.0 feed. Both comments and pings are currently closed.